Robert Balentine is Chairman of Balentine. He brings 40 years of experience advising clients and families on matters relating to their wealth and legacy. A seasoned entrepreneur, Robert has experience building, buying, and selling businesses, and has counseled many of our entrepreneurial clients on matters relating to managing their businesses, as well as managing their wealth. 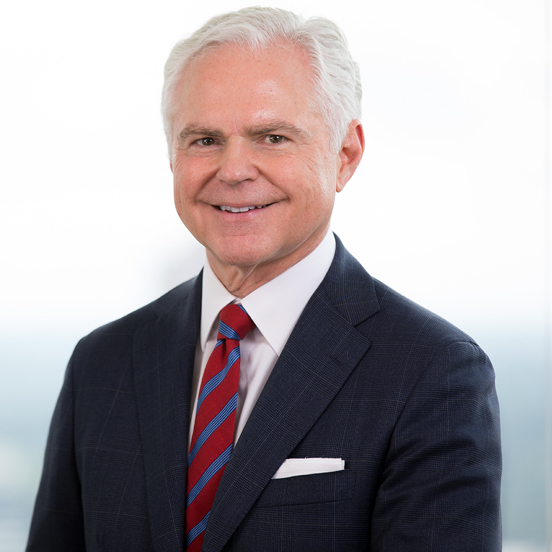 He was the inaugural recipient of the Metro Atlanta Chamber’s 2013 Business Person of the Year “Lifetime Achievement Award.” Barron’s and Forbes have each named Robert one of the country’s top wealth management advisors, and Atlanta Business Chronicle named Robert to its 2018 list of “Most Admired CEOs.” He is a frequent contributor to the media and addresses audiences across the country on topics related to investing and entrepreneurship. To leave a successful career with a large Wall Street firm to start Balentine & Company with my dad in 1987. My dad was always my hero. He taught me the virtues of hard work, integrity, and faith. In September 2008, I went fly fishing in Northern Mongolia. That was also the week Lehman Brothers failed—not a good time to be on vacation! That you can’t change the culture of an organization unless you’re the one in charge. To resign as CEO of a publically traded investment management business and start over again as an independent firm in the depths of the Great Financial Crisis. But we had a vision to build the type of firm we’d hire to manage our own money—and we did it. Ours is an industry mired in conflict and lack of transparency. As Charley Ellis famously said, “We’ve confused the economics of the business with the values of the profession.” At Balentine, our role is to simplify clients’ lives in a conflict-free setting, providing peace of mind and performance.